If you have been injured in a motorcycle accident in Fort Lauderdale, contact the team at Friedman & Associates as soon as possible to discuss your next steps. Depending on the nature of your accident, we will be able to help you file an insurance claim and be certain that you recover all of the damages you deserve, or we will work with you to develop a personal injury case. 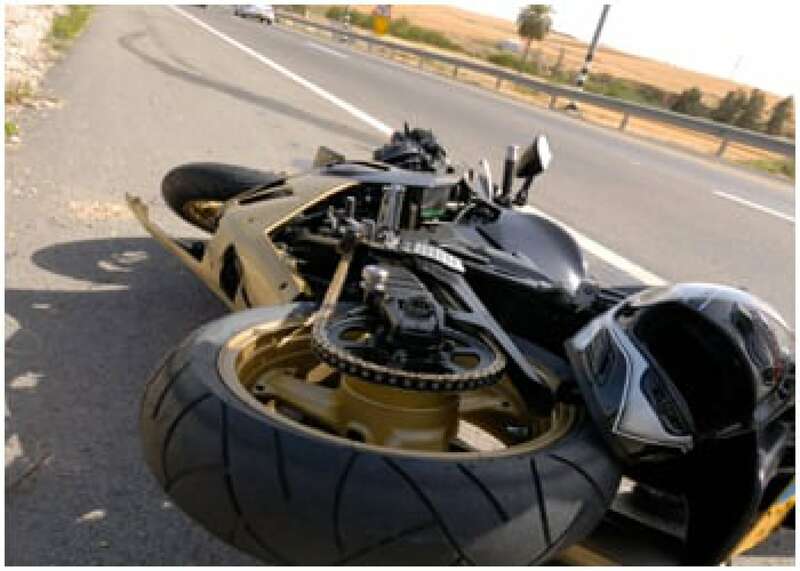 Any automobile accident can be serious, but the risk of injuries on a motorcycle is always increased. Your claim or lawsuit will include any factor that we determine is essential and rightfully owed to you. Read more below about the things we will consider when building your case. Contact us today to discuss your accident and injuries, and let us help you move towards recovery. Depending on the circumstances surrounding your accident, we will consider some, all, or possible additional factors that will go into the dollar amount we will seek for your recovery. Given the variety of possibilities that lead to your accident, and the variety of issues in the aftermath, your specific case will vary because of your unique circumstances. With an experienced team by your side, you can be confident that we are working towards the best outcome. As you can see if the aforementioned list of factors we will take into consideration, there is a wide range of possible amounts we will file a lawsuit for. Some aspects of the lawsuit are simple to quantify, such as your past medical expenses and lost income. This requires simply tabulating the amount of medical bills you have already incurred, and proving the wages you have missed because of time out of work with previous pay stubs. Additionally, calculating your property damage will just require an estimate from a mechanic, or your insurance company deciding to declare your motorcycle totaled. However, there are additional factors that we will consider that are harder to determine, but just as important. Some of these issues include possible future lost wages and future medical expenses, which will require us to understand the nature and extent of your injuries, likely future recovery process, and attaching a dollar amount to the associated bills as well as future time away from work. Other factors can be even less vague, such as your pain and suffering or diminished quality of life. You can be confident that our team will work to determine a fair and just amount for these non-economic factors. It is our top priority that our clients are able to resume a quality of life that they deserve, or be compensated for any reasons that are unable to do so. There are many motorcycles in and around Fort Lauderdale, and there are many ways that an accident can happen while you are riding or driving on. Below are a few common situations that could lead to a motorcycle crash, although this is nowhere near a complete list. There are an endless number of possibilities that may lead to a motorcycle accident, but you can be certain that the team at Friedland & Associates will work with you to determine how to best pursue financial compensation regardless of the situation. If you were in a crash that was not your fault, it is important to us that we get you the justice you deserve so that you can continue with your life after this unfortunate incident. Dealing with an insurance company following a motorcycle accident can be an extremely stressful and frustrating process when simply trying to recover insurance amounts. This is because an insurance company’s primary objective is to protect their bottom line by paying out as little as possible. They do this by making claims complicated, and by blaming you even if you are clearly not at fault. By claiming that you are at fault in any bit, they can then argue that they do not owe you the full amount that you rightfully deserve. By working with an attorney through the insurance claim process, you can be sure that we check the insurance company every step of the way. We are familiar with the insurance claim process, as well as the rights of those who are filing the claims. We will work to compile facts for your case that make your claim completely clear and legitimate, and will counter any offers that the insurance company may make that doesn’t fully reflect your situation. Our experience with accidents, personal injuries, and the insurance world will be a significant asset to you, and will reduce the amount of stress that this process can create. Contact our team today to schedule a free consultation, and begin working towards recovering the damages you are rightfully owed. During your consultation, you will be able to discuss your accident, the consequences and recovery, and understand how our legal team will handle your situation. You will be able to ask questions about our approach, how we work with our clients, as well as our previous outcomes for similar situations. We want to be sure that you are confident in our abilities, and that you understand how we will fight for your rights. We look forward to hearing from you, and working with you to recover what you are owed following your motorcycle accident.